Islamists hurled a grenade at an outdoor Christian prayer service in Kenya. Two people were killed. 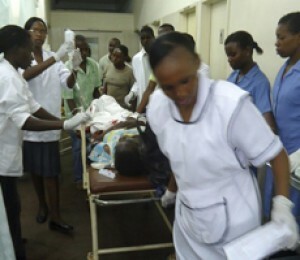 According to International Christian Concern (ICC), more Christians have been attacked in Kenya. Jonathan Racho received first word of the deadly incident against more than 150 Christians. A witness told ICC three people sitting in a parked car near the site threw the grenade and drove away. “And at the time when Christians were holding the service, Muslims were also holding a meeting 900 feet from the scene of the attack,” Racho notes. “The Muslims were holding their own prayer, were vilifying Christianity” within earshot of the worshiping Christians.